You need a manual sphygmomanometer. We are looking for decrease in systolic BP between inspiration and expiration. Continue to decrease the cuff BP (slowly) - holding at each step for at least 2 breaths. There will be point when Koratkow sounds are heard continuously. In other words, you would suddenly hear more Koratkow sounds than before. 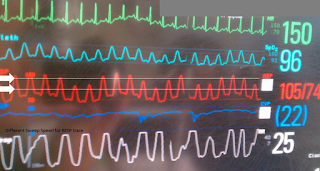 This is the inspiratory - systolic BP (Second, lower arrow in the figure above). Difference between expiratory systolic BP and inspiratory systolic BP should be < 10 mmHg. If higher (20 or above), pulsus paradoxus is supposed to be present. Pulsus paradoxus is the exaggeration of a normal phenomenon. 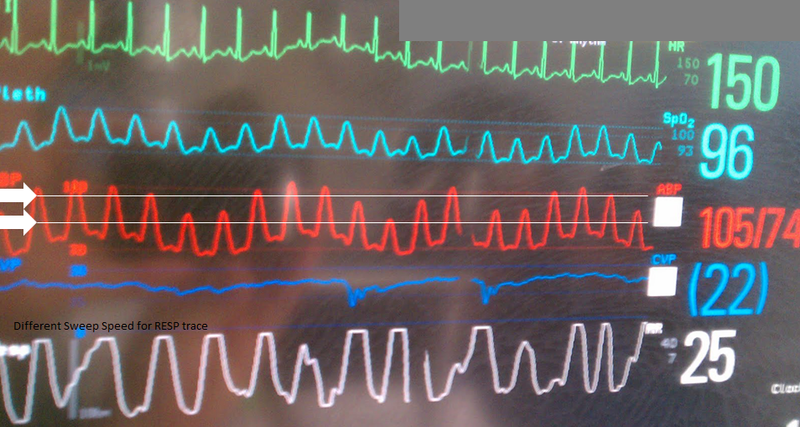 Pulse ox trace and Arterial line trace - if available, are also useful to recognize pulsus paradoxus. Other signs of pericardial tamponade (or restriction) is Kussmaul sign. This is inspiratory increase in JVP. This is what is opposite of normal. Apparently, some how, the term paradoxus has transferred to pulsus paradoxus? !